At Mayfair Diagnostics, we are dedicated to innovation and improved care, which is why we recently upgraded our nuclear medicine department. Located in Calgary’s northeast, we’re tucked in beside Safeway in the Castleridge Plaza, with lots of free parking and bus stops close by. We’re also conveniently located close to several walk-in clinics, a TD Bank, and a medical laboratory across the street. 7:45 a.m. to 4 p.m. The clinic will be closed for Easter holidays on Friday, April 19 and Sunday, April 21. We are located at the northwest corner of the plaza immediately adjacent to Safeway. Please note if you use GPS or Google Maps it will direct you behind our building. There is plenty of free parking available in the surface lot directly in front of Safeway and our clinic. We strive to deliver an outstanding patient experience. Did we meet your expectations? Tell us how we're doing and review us on Google, or complete our patient survey. 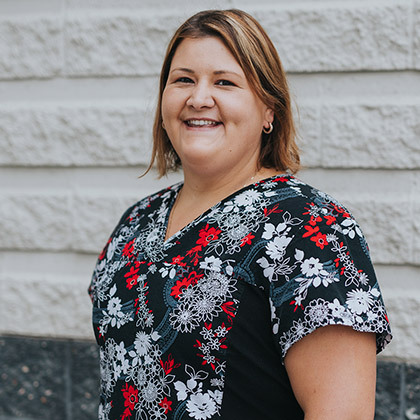 Jenn has been working in health care since 2001, and she loves it! 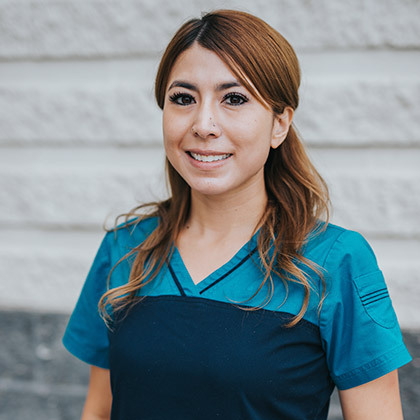 She loves helping people and supporting each patient’s individual needs. She is passionate about pushing the boundaries of what is possible in the medical imaging field. Shaula graduated from the Southern Alberta Institute of Technology and is proud to say that she’s been with Mayfair since 2006. Shaula loves her coworkers and getting to know her patients.